Price isn't the only thing when it come to getting your Panaracer products, experienced customer service is priceless! Looking for durable racing tires for your wheelchair? These wheelchair tires can add significant performance to your ride while bearing your entire body weight and getting everywhere you want to go. Therefore, strength and stability are key while making the decision for the best one for your wheelchair. 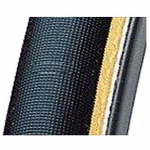 Sportaid offers a full line of inexpensive wheelchair tires from Panaracer with such famous option as Panaracer Clincher Handcycle Tires and Panaracer Rapide Tubular Tires. Our unique selection of racing tires ensures the performance and reliability you expect. With our collection of wheelchair racing tires, you can trust that you are getting the same standards of quality and performance expected from the original equipment manufacturer. With savings as high as 28%, Sportaid is your place for Panaracer!